PJ Materials Consultants provide Professional Development Technical Training Courses as public courses, or they can be offered as customized in-house courses. A variety of topics can be offered, including those detailed below. Please check the What's New page for currently offered courses or contact us for more information. This course is also often offered through Dalhousie University's Continuing Education College, or it can be developed for in-house courses. 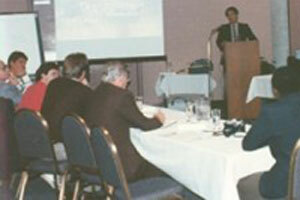 As a consultant specializing in concrete materials technology, the course presenter, Paul Jeffs, has investigated many projects where concrete failures, defects or deterioration were often caused by incorrect practices and/or inappropriate selection of materials - particularly those developed using advances created by modern technology. 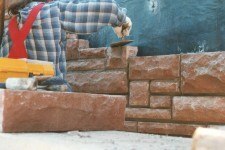 Many of these experiences are used during this two-day course to illustrate not only the benefits to be gained from recent advances in concrete technology but also the limitations of some concrete materials and construction practices. This course is also often offered through Dalhousie University's Continuing Education College, or it can be developed for in-house courses. 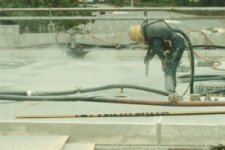 It has been developed to cover the latest advances in materials and techniques and the current state-of-the-art for the repair and protection of concrete structures ~ applicable for all types of structures, including marine and highway structures, dams, wastewater facilities, parking structures, buildings, etc. In today’s business world, reducing risk and avoiding liability are key factors that should be of great concern to everyone. The topics covered within the program have been designed to facilitate learning from the experiences of others, as well as past mistakes that have often reached litigation stage. This course is also often offered through Dalhousie University's Continuing Education College, or it can be developed for in-house courses. 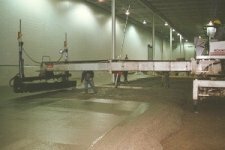 It has been designed to provide an understanding of the conceptual, practical and technical aspects for the design, specification and construction of slabs-on-grade, including commercial and industrial concrete floors, exterior sidewalks driveways, etc. The course identifies concrete failures, defects or deterioration that can often be caused by incorrect practices and/or inappropriate selection of materials - particularly those developed using modern technology. It also examines the confusion that often exists regarding the use of modern materials and how this can sometimes lead to conflict and controversy. In particular, it examines the many advances in technology that have occurred over recent years and which can provide considerable benefit to the concrete industry - and ensure the construction of long-lasting, durable slabs-on- grade. This course is also often offered through Dalhousie University's Continuing Education College, or it can be developed for in-house courses. 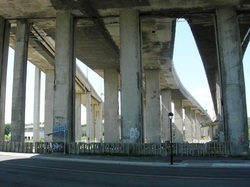 During the last few years, the catastrophic and tragic failures of some North American concrete structures have raised the profile of the lack of attention given to the professional and ongoing assessment of our aging infrastructure. Finally, governments are beginning to take action and provide funding. However, there are currently no structured, standardized methods for assessing, testing, classifying and prioritizing intervention that aims to initially arrest deterioration and ultimately restore concrete structures to safe, serviceable conditions. This course has therefore been developed to cover the current state-of-the-art for the condition assessment of concrete structures. It includes comprehensive information concerning methods, techniques and practices for investigation, testing, monitoring and maintenance. The methods presented for the development and implementation of effective condition assessment programs are applicable for all types of concrete structures, including marine and highway structures, dams, wastewater facilities, parking structures, buildings, etc.